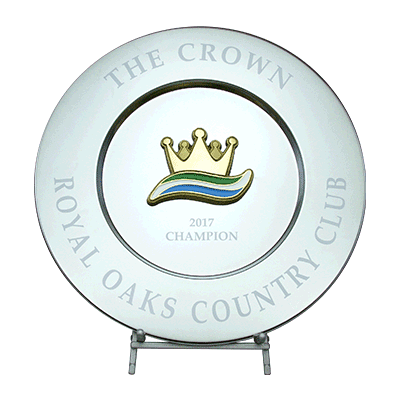 The women at Royal Oaks Country Club were looking for an eye catching award for their annual tournament. 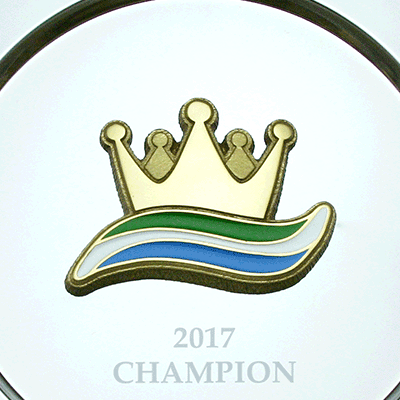 So, we created this 3.75” brass crown logo adorned with 3 different colors of epoxy, and set it to our classic styled Charger tray which features a large rim to provide a lot of room to engrave. Allowing this award to blend classic stylings with modern design.